Recently announced MOBA game from Blizzard - Heroes of the Storm - today has got the first artwork. The picture displays several (or all?) characters that will be available in the future project. More details about this and other Blizzard's games are coming soon, because tomorrow the company's expo will start. Heroes of the Storm is a multiplayer online battle arena game that is under development at Blizzard now. 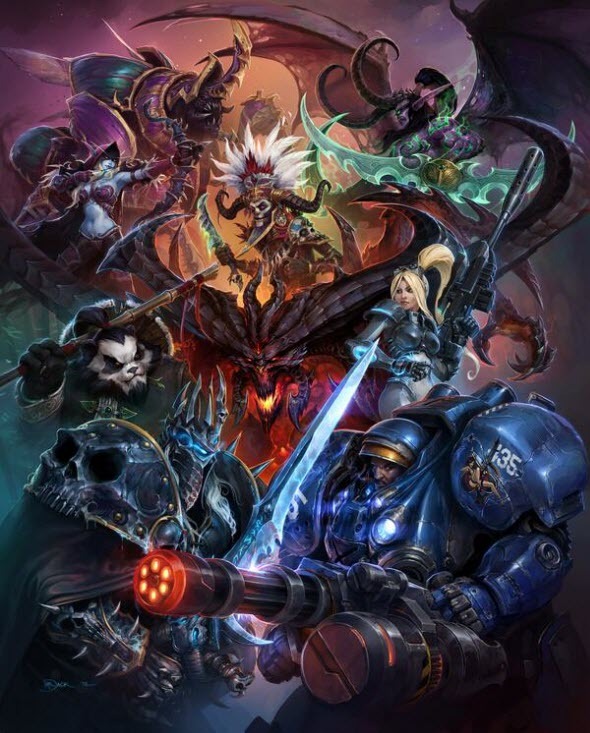 The main idea of the project is to unite the different characters from the most popular developers' franchises - Warcraft, Diablo and StarCraft - in the only one game. The project is going to be free-to-play, and its first trailer was published last month. Meanwhile, the other extremely popular Blizzard's game - World of Warcraft - loses its fans. According to the third quarter report, the project had only 7.6 million subscribers as of the 30th of September, 2013. In the previous report this quantity was 100.000 higher, and World of Warcraft had about 7.7 million players. Moreover, in comparison with 2010 the game has lost much more fans, because that time there were 12 million subscribers. However, World of Warcraft still remains the most popular MMORPG in the world. The situation with the popularity may change for better with the new World of Warcraft expansion that is coming sometime soon. Recently it has become known that Blizzard has registered the new trademark and domain. According to this information, the new expansion will be called Warlords of Draenor. More information about it and Heroes of the Storm game will be presented on the 8th and 9th of November during the annual Blizzard's expo. Stay tuned!